the town may seem life-threatening, we promise it’s not the end of the world. To help you save face next time you’re in a beauty bind, we’ve got some awesome tips and tricks to share with you. And we recommend grilling these into your head, as you never know when the next beauty blunder will strike. ssuming you’re not aiming to look like 90s-era Courtney Love, it’s an easy fix. Add a small amount of foundation or concealer to a damp cotton swab and gently trace over the area where the smudge occurred to cover the lip color. This will conceal the smudge in no time. You may also need to reapply your lip color in case any was removed during the process. This is actually way worse than having lipstick all over your teeth. If a lip ring occurs while you’re out and about, apply a lip balm or gloss and rub your lips together until the liner is evenly distributed. Next time, apply your lip liner over your entire lip area, which will also make your lipstick last a lot longer. You have perfected your entire makeup look like a pro, until you apply mascara and clump city happens. No fret. 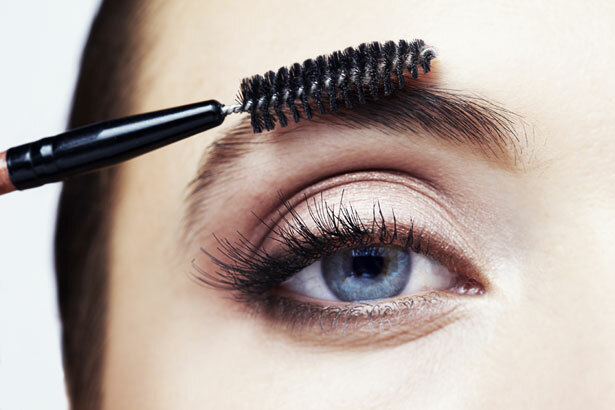 Wipe the formula off of the wand with a tissue and comb through your lashes. This will separate them and help to remove the clumps. Be aware, the shelf life of mascara is typically three months after breaking the seal, so clumping could actually be the result of using an old product. When concealer gets spackled into your creases, it will draw attention to all of your fine lines and wrinkles — a look that most of us try to avoid. If this happens, you can quickly fix it by applying a small amount of eye cream around the under eye area to distribute any excess product. In case you didn’t apply foundation before your eyeshadow, gently wipe away any loose powder or smudged areas around your eye area with a cotton swab. Dab a small amount of concealer around the area with your ring finger, and voilà, good as new! appens to the best of us. While you can’t make your hair grow overnight, you can fill them in with a brow pencil or brow powder. If you don’t have either, clean off a mascara wand and dust your brows with a brown eyeshadow shade that’s similar to your hair color. Your first instinct is probably to try and blend the blush all around your cheek area to even out the color, but this will just make it worse. Instead, dust your cheeks with a clean powder brush to remove some of the blush particles. If you’re still too rosy, apply a little powder over your cheeks to tone down the color. In the case of cream blush, simply apply a little foundation on top.